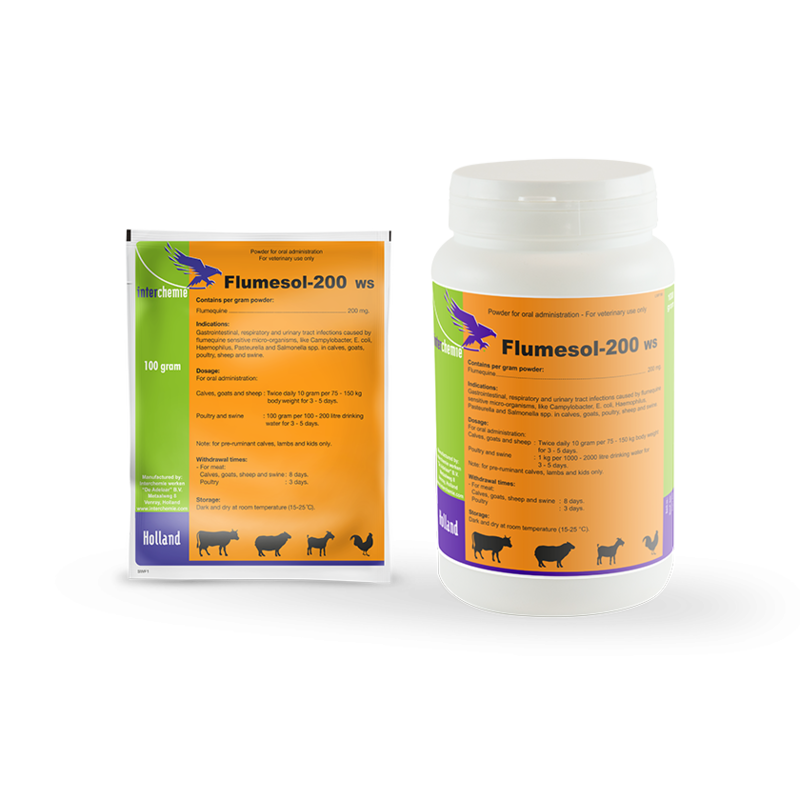 Flumequine belongs to the group of quinolones and acts bactericidal against mainly Gram-negative bacteria like Campylobacter, E. coli, Haemophilus, Pasteurella and Salmonella spp. Gastrointestinal, respiratory and urinary tract infections caused by flumequine sensitive microorganisms, like Campylobacter, E. coli, Haemophilus, Pasteurella and Salmonella spp. in calves, goats, poultry, sheep and swine. Twice daily 10 g per 75 - 150 kg body weight for 3 - 5 days. 1 kg per 1000 - 2000 litres of drinking water for 3 - 5 days.